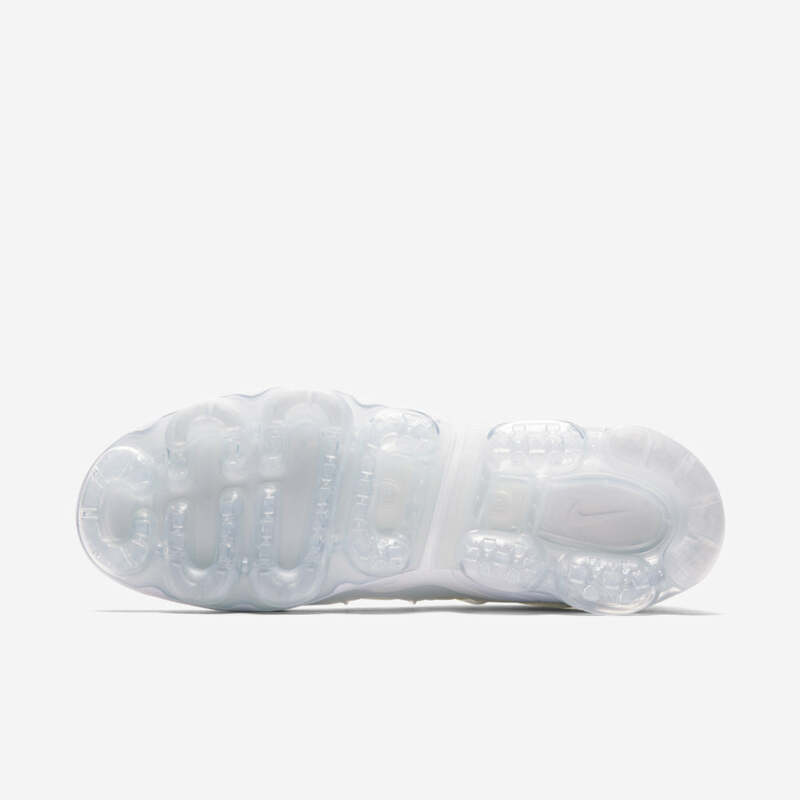 The Air Max Plus became a streetwear hit when it debuted in 1998. 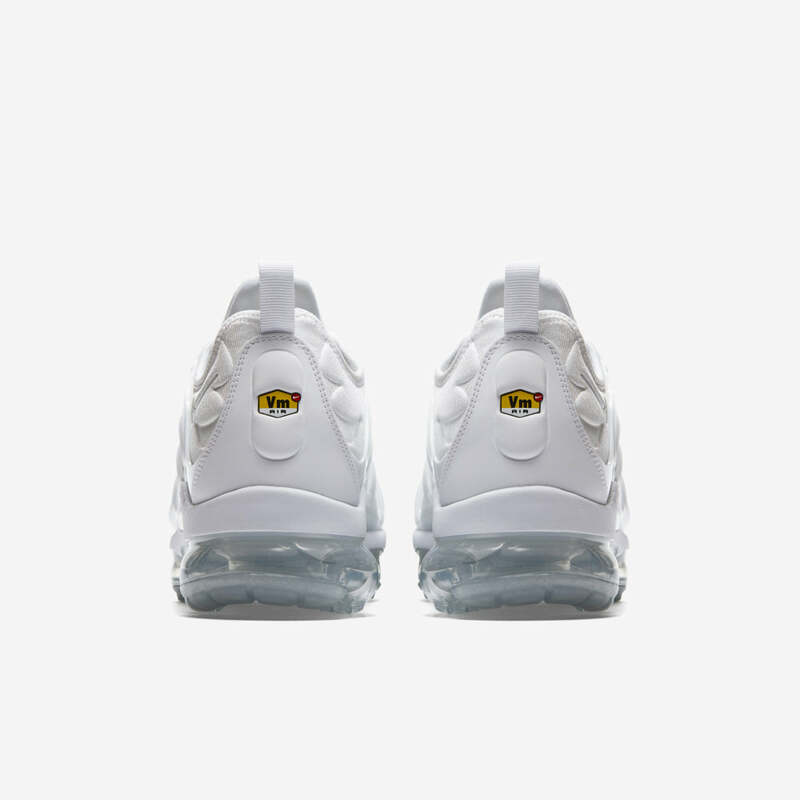 In 2017, Nike introduced its latest running innovation: Nike Air VaporMax. 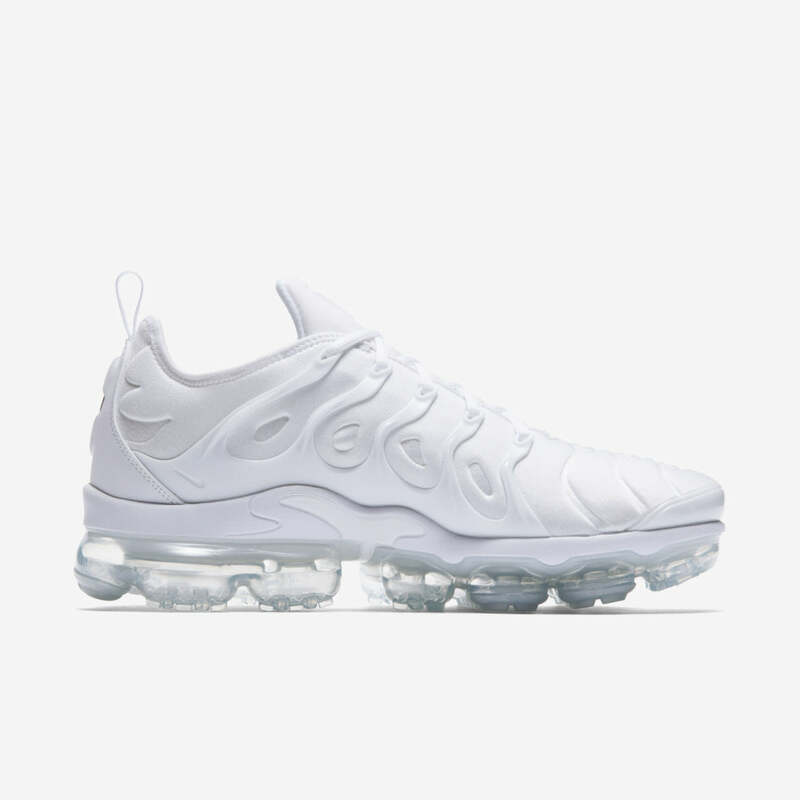 20 years after introducing Tuned Air, heritage design meets the future of Nike Air cushioning to create the Air VaporMax Plus. 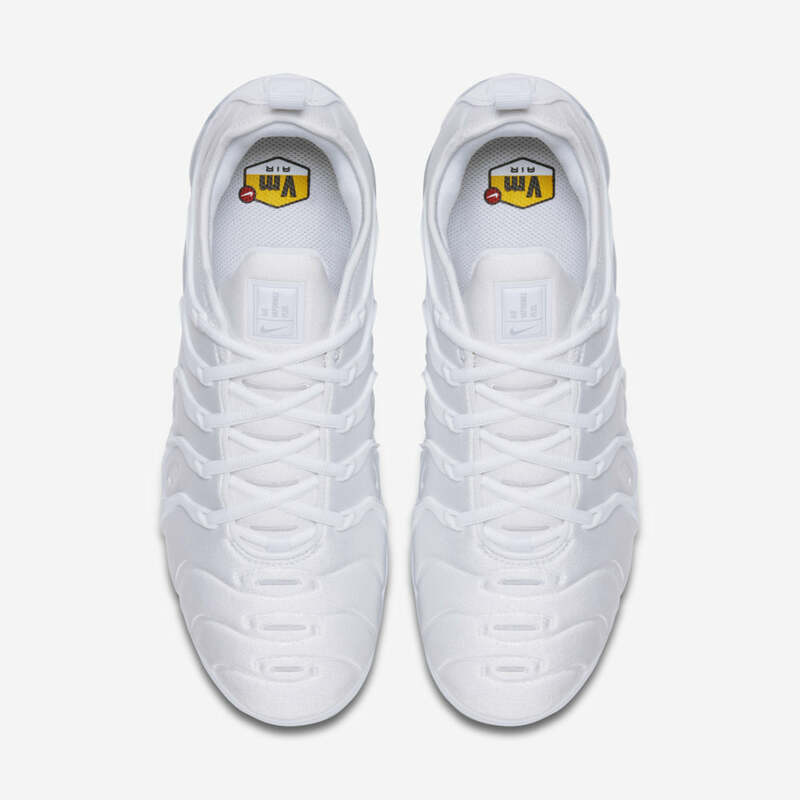 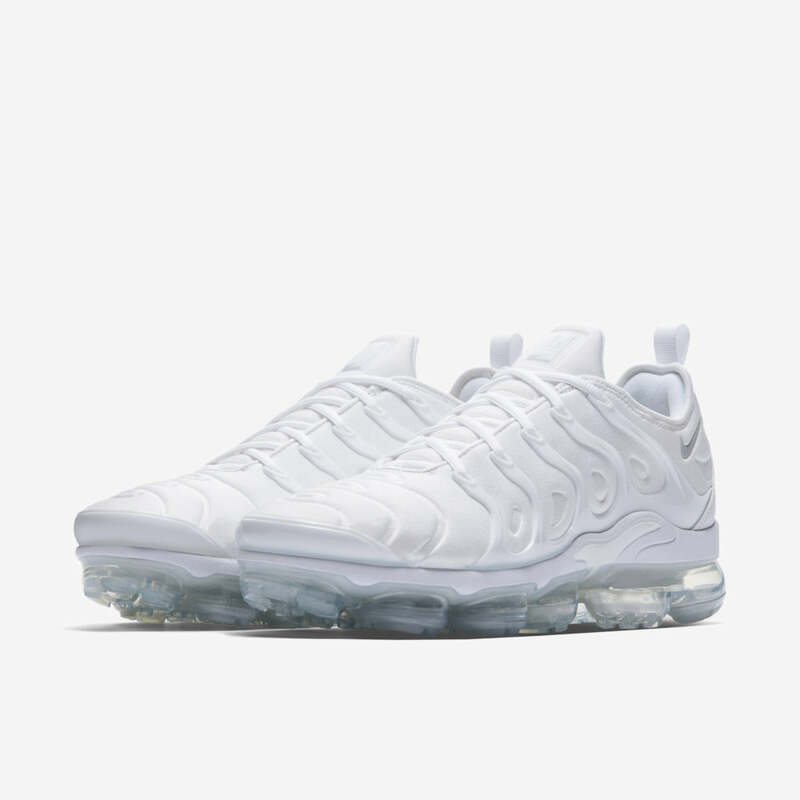 The signature upper of the Air Max Plus, this time in all white, with an equally recognised translucent outsole. 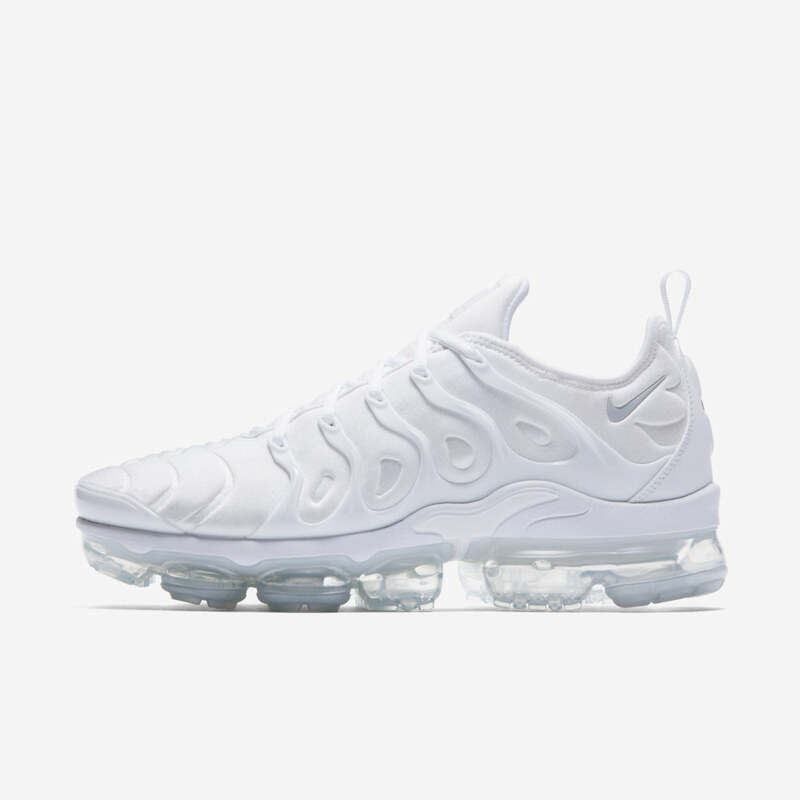 The Nike Air VaporMax Plus “Pure Platinum” will be launching ONLINE on Friday 9th of February at 08:00GMT.